The HYDROSTIK PRO is included with all of Horizon’s advanced educational kits and can be reﬁlled with the HYDROFILL PRO refueling station. What is the Difference Between the HYDROSTIK and HYDROSTIK PRO? HYDROSTIK and HYDROSTIK PRO are two types of metal hydride cartridge, each with a different metal alloy. Depending on which alloy is used, there are different implications for performance, characteristics and cost. Normally, HYDROSTIK and HYDROSTIK PRO store the same amount of hydrogen and have the same capacity (10L of H2). 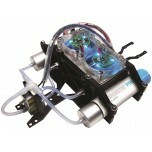 However, the main technical difference is the charging flow rate of hydrogen. HYDROSTIK PRO contains a metal hydride that enables it to significantly outperform HYDROSTIK. 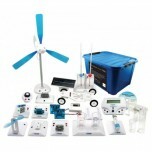 For this reason, HYDROSTIK PRO is designed for and recommended to the educational market (i.e. 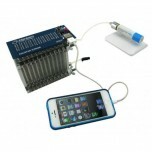 12W fuel cells) which requires higher performance, while HYDROSTIK is designed for portable power which requires a lower power and flow rate. 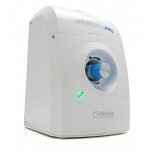 HYDROFILL was originally designed to charge HYDROSTIK while HYDROFILL PRO was specially designed to afford higher flow rates of Hydrogen for HYDROSTIK PRO. 1. How can I refill my HYDROSTIK PRO Metal Hydride Cartridge? The best way to refill a HYDROSTIK PRO is by using a HYDROFILL PRO or another Horizon Education Kit. 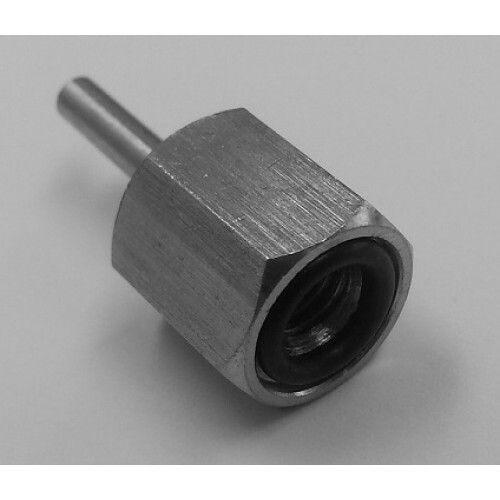 You can also use other Hydrogen outlets by using the Fitting for HydroSTIK. 2. I have inherited unwanted or broken HYDROSTIK PRO Metal Hydride Cartridges, how do I dispose of them? Contact your local consumer waste recycling center or return the HYDROSTIK PRO to us. 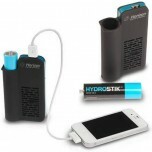 Typically, the HYDROSTIK PRO can be recycled where rechargeable batteries are recycled. 3. I have purchased a HYDROSTIK PRO Metal Hydride Cartridge, should I have received a (gas pressure) regulator of any kind with it? 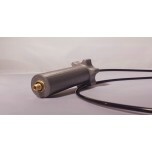 Alternatively you can purchase a HYDROSTIK Pressure Regulator here. 4. 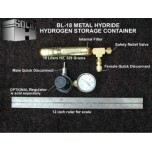 Do HYDROSTIK PRO Metal Hydride Cartridges come delivered to you sealed? How are they sealed? There is a gas tight valve in the cartridge head that doesn't allow for gas to release. This will not be an issue though as the canisters will not contain any gases during delivery. 5. I would like to exchange my cartridge for a different size. 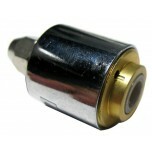 For now Horizon only distributes a single size metal hydride cartridge. 6. Can I take Metal Hydride Cartridge HYDROSTIK PRO abroad? No more than two spare fuel cell cartridges may be carried by a passenger in carry-on baggage, in checked baggage, or on the person. 7. How many hours of electricity are provided by a HYDROSTIK PRO Metal Hydride Cartridge? 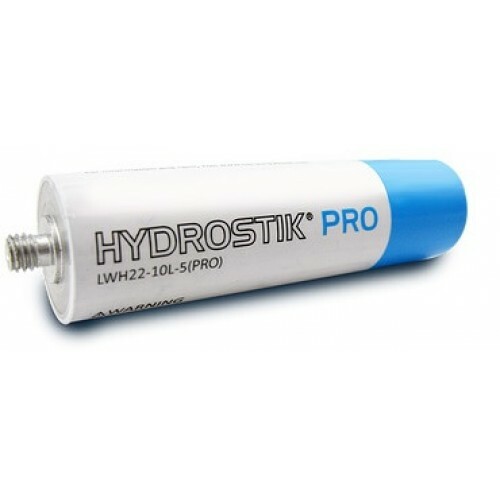 The HYDROSTIK PRO Metal Hydride Cartridges contain up to 11Wh of electricity. 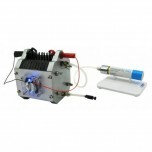 So if drawing 1W from the fuel cell, it will run for 11 hours. 8. How can I monitor how much gas is left in a cylinder? This can be measured by weight, measuring the empty weight gives you the benchmark level and then you can work out the total amount of hydrogen by understanding that 11 Liters of Hydrogen = 1 gram so make sure your scales can work in 1/10th of 1/100th of a gram to get accurate readings. Pressure cannot be used as a measurement of the amount of Hydrogen in the canister as the pressure is almost the same between 10%-90% full. 9. If the HYDROSTIK PRO casing or input valve gets dented or damaged or is leaking is the HYDROSTIK PRO still usable? No, if the casing is damaged the HYDROSTIK PRO is not safe to use or handle and should be recycled at the proper locations. 10. Can I store HYDROSTIKs in cars parked in full sun? HYDROSTIK PRO is advised to be stored in maximum 50C temperatures, but cars parked in full sun can reach inside temperatures that exceed 60C. HYDROSTIK PRO is still safe at these temperatures; however we do not recommend storing HYDROSTIKs in such conditions. 11. Where do I recycle a spent or damaged HYDROSTIK PRO? Contact your local consumer waste recycling center or return the HYDROSTIK PRO to a Horizon Fuel Cell Technologies vendor. Typically, HYDROSTIKs can be recycled where rechargeable batteries are recycled. The materials in the HYDROSTIK PRO are 100% recyclable, and so in order to get the HYDROSTIK PRO metal hydride cartridges recycled properly, return the cartridges to your local outlet or distributor. The HYDROSTIK PRO metal hydride cartridges do not contain any dangerous substances for the environment, we would recommend that they still be disposed of in a similar way you would dispose of a standard battery.